As an exporter of fasteners & bathroom accessories, we have enjoyed an excellent reputation through out our 21 years' of business experience. 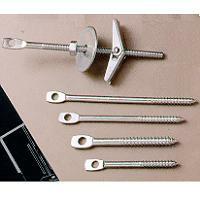 Our main products includes closet bolts (screw) M/S, SMS and plumbing accessories. For more details, please refer to our "URL: http://manufacture.com.tw/sunmax/"